CONCORD, NC - The local hardware store in Barnesville, Georgia is stocking back up on brooms this week, following the sweep by 6 drivers this past weekend, as the RLV Tuned Exhaust Products Gold Cup Series stormed into the Lamar County Speedway for the Barnesville Bash, fending off the challenges of Hurricane Nate, and ending the season on a most positive note. The first of 6 drivers to begin the cleanup process was Austin Williamson, who swept the action in the GT Machine Junior Pro Gas Class. Coming into the weekend, Williamson held the points lead over Elmer Edmonson and Brian Van Cleve. And with both those drivers on hand, there was little room for error, which Williamson prevented, taking the class both days, with the end result on the track, the same as that in the points, with Edmonson and Van Cleve chasing the Georgia driver across the stripe. Well traveled 2 and 4 Cycle driver Danny Dyszelski used an open weekend on his schedule to come to Barnesville as well, taking both the Saturday and Sunday wins in the GT Machine Sportsman Pro Gas Class over Georgian Owen Lloyd. Dyszelski will now focus on his 2 cycle kart this weekend, running the Yamaha Sportsman and Mini Swift classes for the season ending Top Kart USA Grand Nationals for the Bridgestone Manufacturers Cup Series at GoPro Motorplex. With winners from Georgia and North Carolina in the books, it was time for the state of Florida to come to the front, with veteran Sean Meier taking down the Target Distributing Senior LO206 class, fending off the efforts of Jim Lipari and Tim Clark both days. For Clark, his day was just starting, as the veteran racer pulled double duty in Senior competition on a very humid weekend, also running the Masters Senior class, with local product Bob Barthelemy taking down the field on both occasions. Jacksonville competitor Brad Farmer chased Barthelemy on both days to snare a pair of runnerup honors, with Clark third on day 1, while Steve Kiker made a return to competition, taking third on Day 2. Brian Van Cleve also joined the ranks of the double threats over the weekend, sweeping the Water Medic Junior LO206 Class both days, taking down Austin Williamson and Kevin Lanyi each day. Like Williamson, Van Cleve came into the event with the points lead, and needed to maintain his win status to stay in front, which he did. The most exciting events of the weekend came in the Boon and Sons Sportsman LO206 Class, where Georgia driver Owen Lloyd, the points leader coming into the event, had to deal with a 14 kart field, peppered with national and local competition. Lloyd was up to the task, taking down the field both days, topping Danny Dyszelski, Lane Littleton, Peyton Bridges, and Blake McGinnis on Day 1, while McGinnis, Bridges, and Clay Thompson chased Lloyd and Dyszelski across the stripe on the second day of competition. Prior to the weekends points action, the Sportsman and Junior LO206 Classes participated in their annual Shootout races on Friday afternoon, with Kevin Lanyi topping Brian Van Cleve, Austin Williamson, and Elmer Edmonson in Junior action, while local product Peyton Bridges took down the field in the Sportsman LO206 Shootout, thus winning $100 for his efforts, while Danny Dyszelski and Owen Lloyd each earned a $50 payday by virtue of their 2nd and 3rd place finishes. Very special thanks to Arnold Lloyd for providing the special purse money for the drivers. A very special thanks to all the competitors, fans, moms and dads, and so many others who always make a weekend at a Gold Cup event a most memorable occasion. On behalf of the World Karting Association, our sincerest thanks, and wishes for a wonderful holiday season! CONCORD, NC - While it may just be the second race of the season for the RLV Tuned Exhaust Products Gold Cup Series, national championship hopes hang in the balance for drivers in the 8 national classes this weekend at Lamar County Speedway in the Barnesville Bash. Drivers eligible for a title will have to have entered in all 4 of their respective class races at the 2 venues this season, the March Southeast Showdown at 103rd Street Sports Complex in Jacksonville, Florida, as well as this weekend in Barnesville, Georgia. The class must also contain an average of 3 participants, with eventual champions being awarded the coveted WKA National Champions Eagle. There will be no drops. One of the tightest battles is in the Target Distributing Senior LO206 Class, where Aren Lloyd holds a 5 point edge over Matt Mayes, with Jason Yarbrough just 15 points out of the lead. Jim Lipari and Sean Meier round out the top 5. The CIK LO206 Senior class is a virtual deadlock between bothers James and Justin Vanderzee, with Brian Collins and Michael Gay in the hunt. Brian Van Cleve holds a pretty substantial lead over Kevin Lanyi in the Water Medic Junior LO206 class, with Elmer Edmonson, Austin Williamson, and Macon Moore making up the current top 5. Williamson is looking to take down the GT Machine Junior Pro Gas class, as he has a strong advantage over Edmonson, with Van Cleve and Moore the top 4. 20 tallies is all that separates points leader Brad Farmer from Timothy Clark in Masters Senior competition, with Tim Stiefel, Kevin Medearis, and Vernon Sparks chasing the top 2. Owen Lloyd holds a good lead over Camryn Reed in the Boon and Sons Sportsman LO206 Class, while Blake Boon looks to secure the GT Machine Sportsman Pro Gas top honors, sporting a healthy lead over Camden Gruber. Jim Lipari rounds out the points leaders heading into this weekends action, leading the Coyote Racing Chassis Senior Pro Gas class. Activities for the Barnesville Bash get underway Friday with a full day of practice, starting at 8:30am. Immediately following practice, the traditional Shootout Races will take place, featuring Sportsman, Junior, and Senior LO206. Saturday and Sunday action will kick off at 8:30am with practice, followed by qualifying, 1 heat race, and the main events. The weekends overall top 3 finishers will also be receiving prizes, along with their awards. To view the weekend schedule for the Barnesville Bash, CLICK HERE. Barnesville Bash is a Go!!! CONCORD, NC - Despite unsubstantiated and unofficial rumors, World Karting Officials are proud to announce what they have been stating for several weeks. And that is the Barnesville Bash for the RLV Tuned Exhaust Products Gold Cup Series WILL RUN at Lamar County Speedway the weekend of October 6-8. Saturday and Sunday will feature practice, qualifying, a heat race, and final. WKA will be sending down national race director Jayson Brown to oversee the weekends on track activities, while lead national 4 cycle tech director Bobby Gettys will also be on hand. Joining the crew will be WKA Director of Operations Buddy Long to call the weekends activities as well. Awards and prizes to the weekends top 3 overall finishers will also be given out during the weekend, provided there are a minimum of 3 karts in each class. The Barnesville Bash will officially wrap up the 2017 Gold Cup season at one of Americas oldest and notorius sprint tracks in the country!!!!! To view the Barnesville Entry Blank, CLICK HERE. CONCORD, NC - Competitors wishing to take advantage of the pre-entry pricing for the Barnesville Bash, the 2017 finale for the RLV Tuned Exhaust Products Gold Cup Series, have until Tuesday September 26 before the At Track pricing kicks in. Activities for the Barnesville Bash get underway Friday with a full day of practice, followed by the traditional Shootout Races for Sportsman, Junior, and Senior LO206. Activities on Saturday and Sunday will consist of practice, qualifying, 1 heat race, and the final event. The top 3 overall finishers in each national class will also be receiving prizes, with a minimum of 3 entries in each class to be eligible. Be sure and get your entry in for the season finale at one of the souths most fabled tracks!!!! Entries Filing in for Barnesville Bash!!! CONCORD, NC - With the final event of the 2017 season for the RLV Tuned Exhaust Products Gold Cup Series just around the corner, entries are beginning to make there way into the WKA Office, as the series will celebrate the Barnesville Bash the weekend of October 6-8 at Lamar County Speedway. Activities for the Barnesville Bash get underway Friday October 6 with a full day of practice followed by Shootout races for the Sportsman, Junior and Senior LO206 Classes. Guaranteed Purse Payouts will be issued, with a 75% payback to the top 5 in all 3 classes. On Satruday and Sunday, action gets underway with practice at 8:30am, followed by qualifying, 1 heat race, and a main each day, with podium presentations following each days activities. The weeknds overall Top 3 will be receiving prizes as well. Competitors wishing to attend the event have until Sept 26 to take advantage of the Pre Entry Pricing. To view the Entry Blank and weekend scheduled for the Barnesville Bash, click here. Entry Blank for Barnesville Bash Now Available!!!! 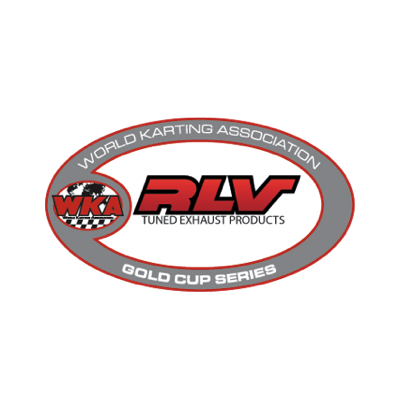 CONCORD, NC - Officials for World Karting and the Georgia Sprint Karting Association are proud to announce the entry blank for the "Barnesville Bash" for the RLV Tuned Exhaust Products Gold Cup Series is now online. The event, slated for October 6-8 at the legendary Lamar County Speedway in Georgia, promises to be stacked with great competition, as some of the very best 4 Cycle competitors in the country will be vying for the top shelf of the podium, not to mention the opportunity to grab some great prizes, being awarded to the weekends overall top 3 in the national classes. These national classes will be running each day on Saturday and Sunday, with practice, qualifying, a heat race and final making up the bulk of each day. Prior to that, there will be a full day of practice on Friday, followed by the traditional Friday evening Shootout races, featuring the Sportsman LO206, Junior LO206, and Senior LO206 classes. Complimenting the Lamar County Speedway staff will be WKA Gold Cup National Race Director Jayson Brown, as well as longtime WKA Tech Man Bobby Gettys, taking care of competitors on and off the track. Additionally, the national staff will be completed by former WKA National announcer Buddy Long, who will be returning to the booth to call the weekend action from beginning to end. Competitors wishing to make parking arrangements can contact Vicki Forsyth at vforsyth6096@gmail .com. The 2017 finale for the Gold Cup Series at Barnesville will clearly be one to attend, as the tight, tricky track, with elevation changes, clearly challenges driver and machine. This will be one to watch!!!! To view the entry blank for the Barnesville Bash, click here. CONCORD, NC – After careful consideration, the World Karting Association has made the difficult decision to cancel its Gold Cup event, scheduled for July 28 – 30, at Thompson Kart Raceway. Laborious planning efforts to support round two of the Gold Cup program over the past few weeks unfortunately did not generate the entries needed to ensure a successful event for everyone involved, so the tough decision was made today to cancel the event altogether. Discussions are already in the works to keep this unfortunate action from happening in the future; to include the structure and dates of WKA’s 2018 Gold Cup program. At this time, there are no plans to alter the October event at Barnesville and WKA looks forward to seeing its Gold Cup family there this fall. As planning continues, WKA will make public announcements as to future plans of the program. Keep visiting worldkarting.com and read Pit Board announcements for improvements to the Gold Cup program, and all of WKA’s news. CONCORD, NC - As 4 Cycle competitors eagerly prepare for the first WKA visit by the RLV Tuned Exhaust Products Gold Cup Series at Thompson Kart Raceway in Ohio July 28-30, WKA Officials want to remind all competitors that the pre entry deadline for stop #2 of the 3 race national program is slated for Tuesday July 18. Following some exciting competition back in March in Jacksonville, Florida, competitors are hungry to get back behind the wheel and test for many, what will be their first ever visit to the Thompson facility. Like Jacksonville, drivers will not only be vying for the weekends overall title, and the chance to stand atop the national podium, overall weekend champions will also be receiving generators from Briggs and Stratton, as well as prizes going to the second and third place overall finishers!!!! A minimum of 3 competitors need to be in the class in order to be eligible for the prizes. Additionally, classes will be available for LO206/2 Cycle Kid Karts, as well as Rookie. Activities will kick off Friday with the traditional Shootout races for Sportsman, Junior, and Senior LO206, immediately following practice. A 75% payback will be available for each class, based on kart count. Competitors interested in reserving parking may contact James Denholm at jamestdenholm@gmail.com. Don't miss the first ever chance to battle it out at Thompson for Gold Cup supremacy!!!!! To view the entry info for the Northeast Knockout, CLICK HERE. CONCORD, NC - Woodbridge Kart Club Officials have been overwhelmed by the turnout of pre entries for the latest event for the Dunlop/Xeramic National Road Race Series presented by Russell Karting. The Summer Nationals, slated for July 21-23 at Virginia International Raceway, stop #4 of 5 for the National WKA Series, will mark a return for the first time in 2 years by the Road Race Series, since the track was repaved in July of 2016. Many competitors are busting at the seams with excitement, awaiting the opportunity to return to one of the most competitive and historic tracks in national sprint racing. Headlining the action will be the first ever Battle of the Tires, featuring 4 classes on Saturday, including the Hoosier Racing Tire Animal Heavy, WT Racing IAME Sprint, Fisher Racing Engines Stock Honda, and Yamaha Sportsman Heavy classes. Drivers that sport either Dunlop or Hoosier tires on all 4 corners of the kart, and win the event, will receive a free set of tires from the respective tire distributor. In addition to the four classes listed, there will be several more national classes in attendance, including several Local Option classes, ranging from Cadets to Vintage. Here's a look at the Local Option classes available. Activities for the Summer Nationals get underway with a full day of practice, beginning Friday at 8am, with a full slate of daily activity Saturday and Sunday, starting 11am Saturday, and 10:15am on Sunday. To view the Summer Nationals entry blank, CLICK HERE. Remember to register online at www.Woodbridgekartclub.com!!!! CONCORD, NC - In keeping with the theme of the first race of the year in Jacksonville, Florida, WKA Officials will once again be organizing merchandise to go along with the awards to the weekends top overall finishers in the series second event of the season for the RLV Tuned Exhaust Products Gold Cup Series, the Northeast Knockout July 28-30 at Thompson Kart Raceway in Thompson, Ohio. Through the efforts of Dave Klaus of Briggs & Stratton, the weekends overall champions will be receiving generators for their efforts, with prizes also going to the weekends 2nd and 3rd place overall finishers. In order to claim the prizes, there must be a minimum of 3 karts in the respective national classes. The LO206 and 2 Cycle Kid Kart Classes will be a part of the weekend program as well, running as a non national points class, with awards going to the participants in the class each day. In addition to the weekend prizes, competitors can get a jump on extra track time and potential money with the Shootout Races Friday evening following practice. Classes will include Sportsman, Junior, and Senior LO206 with a 75% payback to the top 5, based on kart count. Thompson Kart Raceway will also be hosting a practice session on Thursday July 27 from 1-8pm. For more information, contact Doug Marsh at (440) 289-5291. Entries are now being taken for the inaugural visit by WKA to the Ohio facility. To view the weekend schedule, and register for classes, CLICK HERE. CONCORD, NC - World Karting Officials are proud to announce the availability of the latest Entry Blank for the RLV Tuned Exhaust Products Gold Cup Series. The Northeast Knockout, stop #2 on the 3 race series for the Gold Cup Series, brings several competitors to Thompson Kart Raceway in Ohio for the very first time July 28-30, joining the fine staff of Doug Marsh and the CKRA. As always, action gets underway Friday July 28 with a full day of practice, followed by Shootout races for the Sportsman, Junior, and Senior LO206 classes, with a 75% payback in each class, based on participation. For those wishing to gain some additional track time, Thompson Kart Raceway will be hosting a practice session on Thursday from 1-8pm. For more information on the Thursday practice, contact Doug Marsh at (440) 289-5291. Fees for the Thursday practice will be taken care of directly by the track, and not a part of the entry blank. For the second event in a row, the top 3 overall weekend winners will be receiving product, including generators from Briggs & Stratton to the weekends overall winners per class, with prizes for 2nd and 3rd also being made available. Prizes will apply to classes that maintain a minimum of 3 participants in each class. Entry fee is $85 per national class, with a pre entry deadline slated for July 18. Kid Karts will pay $50 for their pre entry fee, also with a July 18th deadline. To view the weekend schedule for the Northeast Knockout, CLICK HERE. Pit Passes must be purchased and all waivers executed prior to picking up pre-entry packets, practice stickers or registering at registration. We will no longer allow competitors to pick up pre-entry packets without proof of pit pass purchased aka wrist band number. Also, a valid completion license is required. Please be ready to show your current WKA membership license at registration. The most recent meeting minutes are also now available. CLICK HERE to read them. CONCORD, NC - As the newest season for the RLV Tuned Exhaust Products Gold Cup Series prepares to take to the track this weekend in the Water Medic Southeast Showdown at 103rd Street Sports Complex in Jacksonville, Florida, competitors will have the chance to not only compete for the right to stand atop the podium as the weekends overall champion for the event in their respective classes, they will also be taking home a Power Washer courtesy of Dave Klaus and the folks at Briggs & Stratton. Following last season in which Briggs was the sponsor of 4 national classes, and also providing generators, which will be given out to the 2016 Year End Champions, also this weekend at Jacksonville, the strong relationship between Briggs & Stratton and the WKA Gold Cup program continues to flourish into a new season. The Briggs product, in the form of generators to the overall winners, will continue July 28-30, when the series makes its second, and inaugural stop at Thompson Kart Raceway in Ohio for stop #2, with products also being made available to the Grand National Champions at the season finale October 6-8 at Lamar County Speedway in Barnesville, Georgia. Prior to the national competitors making the run for the weekend cup and Briggs product, WKA will again be hosting the Friday Night Shootout Races, involving the Sportsman and Junior LO 206 classes, as well as the annual Money Race for the Senior LO206 Heavy class, offering a 75% payback to the top 5, based on kart count. The Shootout races will again pay $200, with 2nd receiving $100, and $50 going to third in both classes, with awards for the top 3 also available. Entry Fee for the Shootout classes is $25, a cheap price to pay for extra track time, and a shot at $200. Entry Fee for the Senior LO206 Heavy Money race is $50. Both the CIK and Traditional Gold Cup Bodyworks will be allowed in this race. Once the Shootout Races conclude, the focus will shift back to 2016 where the national champions, as well as other award recipients will be honored in the annual awards ceremony, held again this year at the track. Free Pit Spot for one 2017 Gold Cup event. Doors for the awards presentation will open at 6:45, with dinner at 7:15, and the awards presentation beginning at 7:45pm. A full buffet dinner, provided by Monroe’s Catering will be served, featuring smokehouse chicken, smoked beef brisket, baked beans, mac and cheese, garlic toast, banana pudding, cookies and brownies, sweet and unsweet tea. Tickets are $20 per person. As the season begins for the 3-race national program, it is important to note that a competitors best 5 of 6 races will be counted towards the overall national championship, with no bonus points being awarded this season. For further info regarding the points structure for 2017, you can refer to the Board of Trustees Meeting Minutes from March 7. The excitement begins this week at 103rd Street Sports Complex!!! CONCORD, NC - As the 11th hour approaches, the energy for this year’s edition of the RLV Tuned Exhaust Products Gold Cup Series continues to gain momentum into the 2017 season. With the pre-entry deadline for this year’s edition of the Water Medic Southeast Showdown at 103rd Street Sports Complex in Jacksonville, Florida just 24 hours away, sponsors are signing into the program for 2017. World Karting Officials are proud to announce the return of GT Machine, Boon and Sons, as well as Target Distributing, joining RLV, Water Medic, and Coyote Racing Chassis as sponsors for the new season. Supporting the series as the Grand National race sponsor for many years, Dave and Sue Koehler of GT Machine in Longs, South Carolina will be sponsoring the Sportsman Pro Gas class at the Jacksonville event. Also returning is Matt Boon of Boon and Sons in Rochester, New York as the official sponsor of the fast-growing and highly popular Sportsman LO206 Class. WKA also welcomes back Joe Deboever and Target Distributing of South Bend, Indiana. For many years, Target, through the efforts of Joe, and his late brother and WKA Hall of Famer Norm Deboever, sponsored a barbeque at Michiana Raceway Park, prior to the race weekend. WKA is a proud patron of Target Distributing, purchasing many of their race products through the longtime midwest based company. Target will be the official sponsor of the Senior LO206 Heavy class in 2017. Feeding off the sponsorship momentum, WKA is also proud to announce the return of the Friday Night Shootout races, always a driver and fan favorite at the end of the Friday Practice day. This year, the 3 classes for the shootouts will be the Sportsman and Junior LO206 classes, running for a $200 to win payday, with $100 going to second and $50 for third, with awards also available. Entry Fee for the 2 classes will be $25, with racers eligible to sign up at the track on practice day. Additionally, the Senior LO206 Heavy class will be featured in their always exciting Money Race, with a 75% payback going to drivers, based on participation. Both Traditional and CIK Bodyworks will be allowed for this class on Friday. Entry Fee will be $50. Following the shootout races, the 2016 national champions, as well as many other deserving competitors and individuals will be honored in the annual awards presentation, to be held at the track. Doors open at 6:45pm, with dinner at 7:15 and the awards presentation set for 7:45. Pre- Entry Deadline for the Water Medic Southeast Showdown is Tuesday, March 14. So be sure and get your entry in as soon as possible. To view the entry blank for the Water Medic Southeast Showdown, CLICK HERE. To view the form for the Gold Cup Awards Banquet, CLICK HERE. CONCORD, NC - World Karting Officials have recently released the 2017 national schedule for the RLV Tuned Exhaust Products Gold Cup Series. 3 national events will define the series for 2017, with the first stop being the traditional venture to the popular 103rd Street Sports Complex in Jacksonville, Florida March 24-26. Run in conjunction with the North Florida Kart Club, the Water Medic Southeast Showdown will set the stage for what should be another great season for the top 4 cycle competitors in the country. The Jacksonville event will also play host to the 2016 Year End Awards Presentation, which will be held at the track, following the Friday Practice Day. 2016 Champions will be honored with their traditional championship Eagles, as well as product from Bridgestone, RLV, Briggs & Stratton, and much more!! Many other recipients will be honored on that evening. Doors open at 6:45pm, with dinner at 7:15 and the awards presentation at 7:45. A full buffet dinner will be provided. Once the series departs Jacksonville, the second stop will serve as a new venue for World Karting, as competitors will head to Thompson Kart Raceway in Ohio July 28-30 for the Summer Nationals. Headed by Doug Marsh and the Championship Kart Racing Association, WKA is excited to place the series on new soil for the Gold Cup program. A change comes in the third and final venue, as the series will crown its Grand National Champions October 6-8 at Lamar County Speedway in Barnesville, Georgia. Recently, the Georgia Sprint Karting Association opened their doors for one of their first practice sessions of the season, with a plethora of new faces coming out for the season’s first crack at the fabled facility. The format for this seasons events will be very similar to that of last season, with competitors participating in qualifying, 1 heat race, and a final each day. However, in 2017, awards will be issued on Day 2 ONLY, to the highest overall finisher of the classes they participate in, with the top 3 receiving awards. Kid Kart participants in both LO206 and 2 cycle will run together, but scored separately, with an award going to the overall winner in both categories, and participation medals going to the balance of entrants. The Kid Kart Class will not be a national class in 2017. Both the traditional Gold Cup bodyworks, as well as CIK bodywork will be allowed in all classes for one more season. Simply stated, competitors may run a Gold Cup nose with a Gold Cup column fairing, or a CIK nose with a CIK column fairing. Additionally, a CIK LO206 Senior Class has been added, for those wishing to run CIK Bodyworks solely. Specs on wheels, tires, and seat rules have not changed from 2016. Entry Fees for this season will be set at $85 per pre-entry, and $100 at the track for all national classes, with a 1 time practice fee of $60 with pre-entry, and $75 for any at track entry. Kid Kart competitors will pay $50 for their pre-entry, and $65 at the track, with Practice Fees set at the same price as well. WKA has also incorporated a new Rookie Class for 2017, with the age group set at 6-9 years old. This being a national class affords parents of 6-9-year-old competitors a smooth transition from the Kid Kart Class. As the season nears, those wishing to take part in any sponsorship opportunities can call the WKA Office at (704) 455-1606. To view the Water Medic Southeast Shootout Entry Blank, CLICK HERE. To view the Gold Cup Year End Banquet Form, CLICK HERE. To view the 2017 Gold Cup Class Specs, CLICK HERE. CONCORD, NC - The first national event of 2017 for the RLV Tuned Exhaust Products Gold Cup Series received another good shot in the arm with the announcement of Water Medic of Cape Coral, Florida as the Official Race Sponsor for the Southeast Shootout March 24-26 at 103rd Street Sports Complex in Jacksonville, Florida. Serving as a sponsor for the Junior LO206 Class in 2016, Rich Jackson, the owner of Water Medic, continues to give back to the sport by virtue of his sponsorship. After joining Paul Rice and the MGM Crew as co-sponsor of the Thanksgiving Dinner last November at Carolina Motorsports Park, Jackson announced his son, 2016 Junior LO206 Champion Jimmy Cole Jackson, would be making the leap into stock cars in 2017. Despite that, the continuing theme of Family in the WKA and Gold Cup ranks once again has left its positive impact on families who climb the racing ladder, but never forget their fond memories in karting, for which WKA is very thankful. For 18 years, Jackson has built his company based on true honesty and integrity, growing to a fleet of over 30 service trucks and well over 40 loyal employees. Based in Cape Coral, Florida, Jacksons Water Medic business deals in the service and repair of well systems and swimming pools, servicing 5 major counties, ranging from Venice to the Everglades, a pretty vast region of the state of Florida. Jackson’s approach to business also reflects on his family as well, with his son Jimmy Cole not only a 2016 WKA National Champion, but the recipient of the Sportsmanship Award in 2015, a clear indication his sons demeanor was always positive, even after a rough day at the track. WKA is proud to have the Jackson Family and the Water Medic Sponsorship back on board for Jacksonville in 2017, and wish Jimmy the very best in his future racing endeavors. To learn more about Water Medic, go to: www.watermedicofcapecoral.com Or you can reach them at (239) 541-2581. To view the weekend schedule for the Water Medic Southeast Shootout, CLICK HERE.